We spoke to Rima Jabado about the latest publication from her and her co-authors, “Troubled waters: Threats and extinction risk of the sharks, rays and chimaeras of the Arabian Sea and adjacent waters”. The paper was published in the journal Fish and Fisheries in July this year. Here she talks about the broad-scale relevance of the work, and shares a few of her insights into what went into making this research happen. Were there any major challenges you faced in compiling this assessment? The major challenge was bringing together the right people with the right fisheries data so we could accurately assess species. We were lucky that the majority of individuals who have worked or are still working on sharks and rays in the region were available and willing to participate in this process. Together with the IUCN Shark Specialist Group expertise in the IUCN Red List Categories and Criteria, we had a good team working together to compile all the available information and determine the status of each species. Did any findings really surprise you? Several studies had already highlighted the threats to many shark and ray species in this region and how certain populations were showing drastic declines. Based on these reports, we knew that we had a problem in the region but I personally did not expect to have such a high proportion of species in the threatened categories (Critically Endangered, Endangered, and Vulnerable). Gathering data on the increasing trends in fishing effort and the declines in catches and landings across a number of countries for many of these species was very interesting and we were able to have clear trends for the region which were quite scary. Did any particular finding most worry you? I think the finding that worries me the most is the rate at which species are disappearing. I have seen changes in sizes and abundance for several species at landing sites that I have regularly visited for about eight years now. The most striking changes have been the reduction in the sizes of many large-bodied shark species landed and the almost disappearance of several species of wedgefish and guitarfish that were landed in large quantities just a few years ago. If governments don’t take action very soon, I think many species will actually disappear in the next decade. 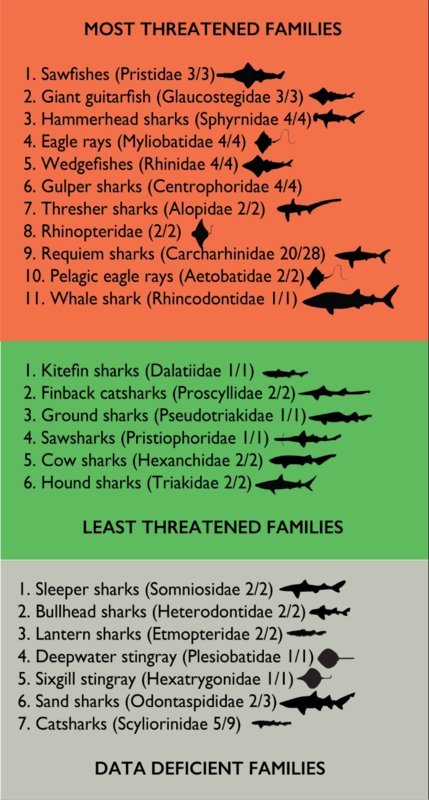 The paper highlights that the most threatened families of sharks and rays in the region include sawfish, wedgefish, guitarfish, hammerhead sharks and eagle rays. Why is the Arabian Sea such a critical region for chondrichthyan conservation? 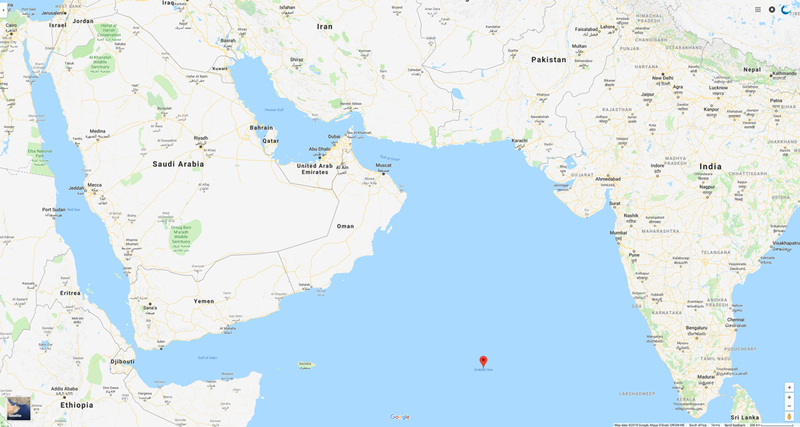 The Arabian Sea and adjacent waters region is bordered by some the largest shark and ray fishing countries in the world (including India, Pakistan, Iran, Somalia…) and also serves as a trade hub for fin exports to Hong Kong (e.g., from the United Arab Emirates and Yemen). However, there is still little species-specific data that is collected through fisheries monitoring, limited research effort specific to sharks and rays, and most importantly the fisheries that interact with these species remain mostly unregulated. It is a large region with countries having different levels of capacity for fisheries management and research but unless governments act quickly, the pressure on the shark and ray species will continue to increase and their recovery potential quickly decrease. You provide a comprehensive list of recommendations for governance and research priorities to address chondricthyan conservation. What is highest on your immediate action list? The two main things I would like to see happen in the short term in the region are the implementation of existing regulations and increased collaborations. Many countries already have some legislations that if implemented, could have a significant positive impact on the populations of many species (such as species-specific protections and/or seasonal fishing bans). I would also like to see more collaborations between researchers working on sharks and rays in the region. This project was a first such step and I think there is potential for good work to be done that can support governments in making the right decisions based on scientific evidence for many stocks that are shared. 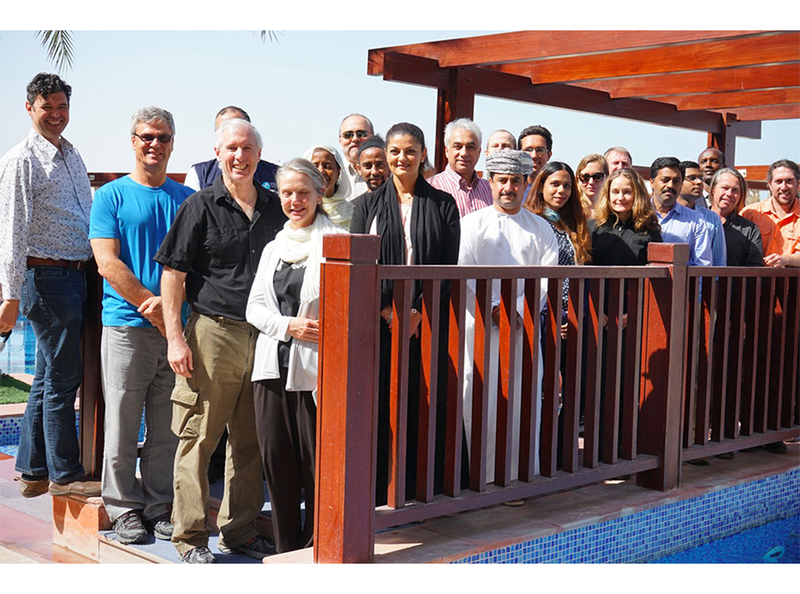 What do you hope this study could mean for the Arabian Sea? I hope this study brings attention to the situation in the region both at the local and international level. We still have very few people doing research on sharks and rays with many areas that remain completely un-surveyed. Additionally, as researchers, we generally have few options for funding either because countries are considered ‘rich’ or because of their current political situation. Although the overall results are scary, I hope that they will help prioritize research and policy actions while bringing some much needed funding for the region, whether it is for capacity building, the implementation of national legislations or even international agreements such as the Convention on the International Trade in Endangered Species (CITES), or research that can inform policy decisions.